Mail featured in the post come mostly from TTM returns and a couple trades. Special thanks to fellow collectors Jeff and Gary. There are 30 new autographs to share, raising the grand total of unique NHL player signatures to 6,053. 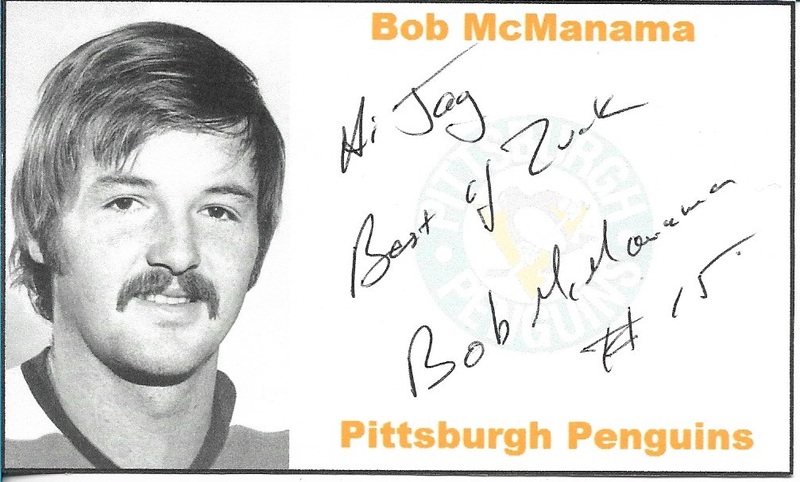 From 1973 to 1976 Bob McManama scored 36 points in 99 regular season NHL games with the Pittsburgh Penguins. An undrafted Harvard alumni, McManama also played half a season in the WHA with the 1975/76 New England Whalers. Internationally, he represented the United States at the 1972 and 1973 World Championships. From 1980 to 1982 defenseman Jim McTaggart played 71 NHL games with the Washington Capitals. He contributed 13 points and over 200 penalty minutes. Most recently, he had spent a number of years as an assistant coach with the WHL's Seattle Thunderbirds. 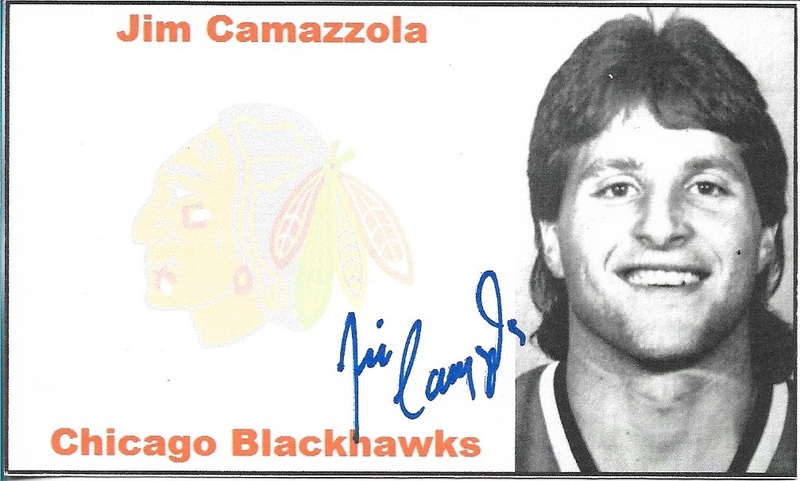 Jim Camazzola played 3 NHL games with the Chicago Blackhawks in the 1980s. He later spent many years playing in Italy and Germany. He got his Italian citizenship and represented the country at the 1992 and 1994 Olympics. 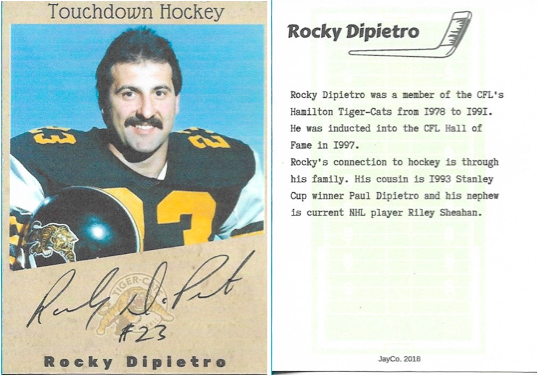 His brother, Tony, also played in the NHL. 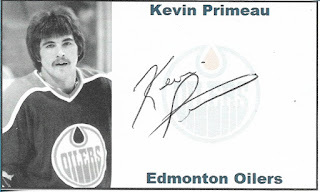 Son of Toronto Maple Leafs legend Joe Primeau, Kevin played 7 games in the WHA with the 1977/78 Edmonton Oilers and 2 NHL games with the 1980/81 Vancouver Canucks. He's also notable for representing Canada at the 1980 Olympics. 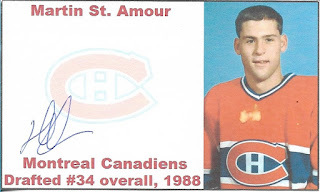 Drafted 34th overall by the Montreal Canadiens in 1988, Martin St. Amour was signed by the Habs but never played for them at the NHL level. His only NHL game came with the 1992/93 Ottawa Senators. 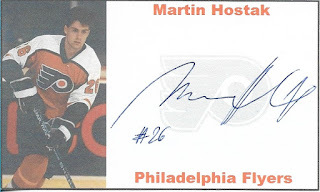 Between 1990 and 1992 Czech forward Martin Hostak played 55 NHL games with the Philadelphia Flyers. 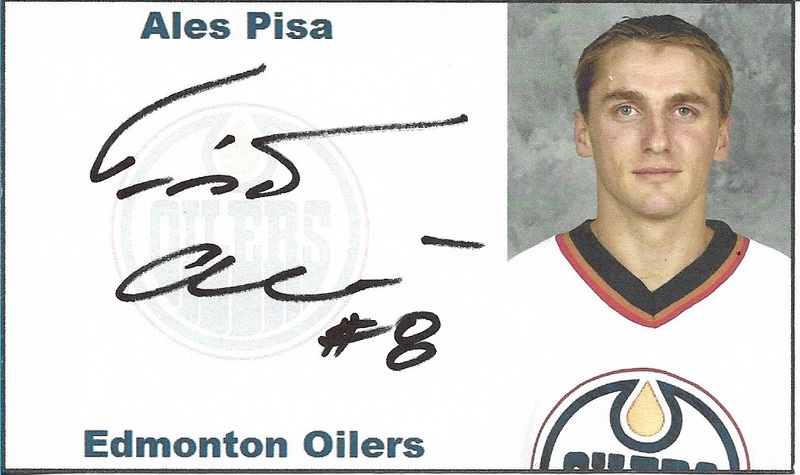 Internationally, he represented Czech Republic at the World Juniors, World Championships and Olympics. He has a bronze medal from the 1990 and 1993 World Championships. 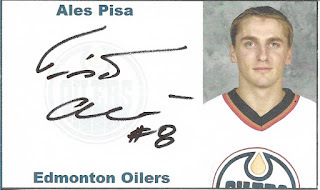 Czech defenseman Ales Pisa spent 2 seasons in North America, from 2001-2003. 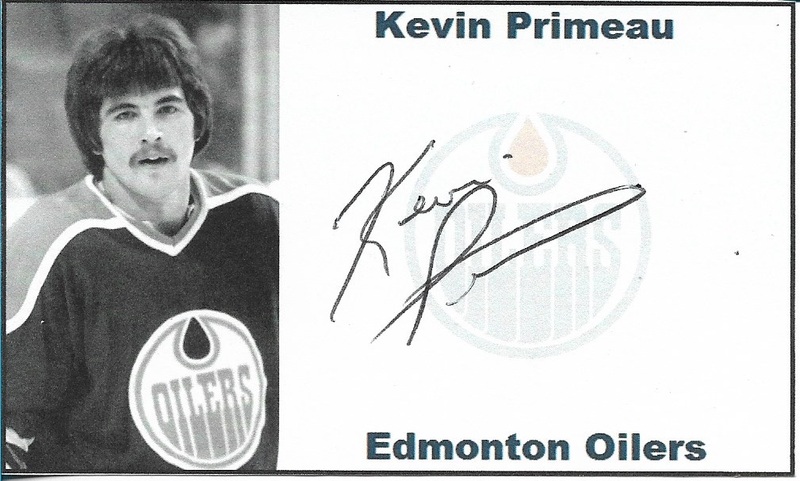 He played 50 games with the Edmonton Oilers and 3 with the New York Rangers. From 2013-2015 Conor Allen played 7 NHL games with the New York Rangers. The defenseman came to the Rangers as an undrafted college player in 2013. I sent this request to him c/o his current team in the Czech Republic. This is one of the strangest returns I've gotten recently because instead of signing the index card, Allen stuck a signed sticker to it. 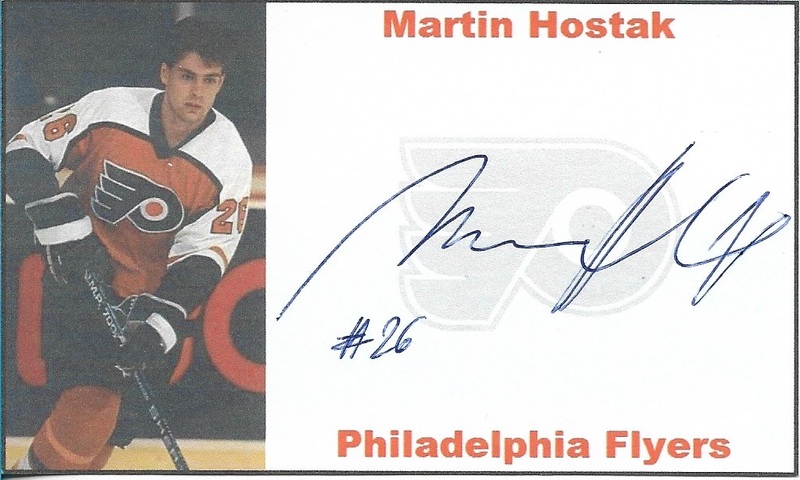 Not sure if it was something the team does or if he just had some leftover from signing for a company (Stickers are from OFS, a Czech hockey card maker). 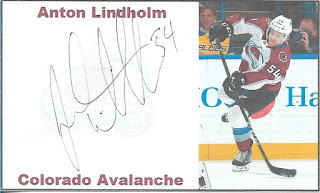 Defenseman Anton Lindholm made his NHL debut with the 2016/17 Colorado Avalanche and has since played 60+ NHL games with the club. He's also notable for representing Sweden at the 2016 World Championships. 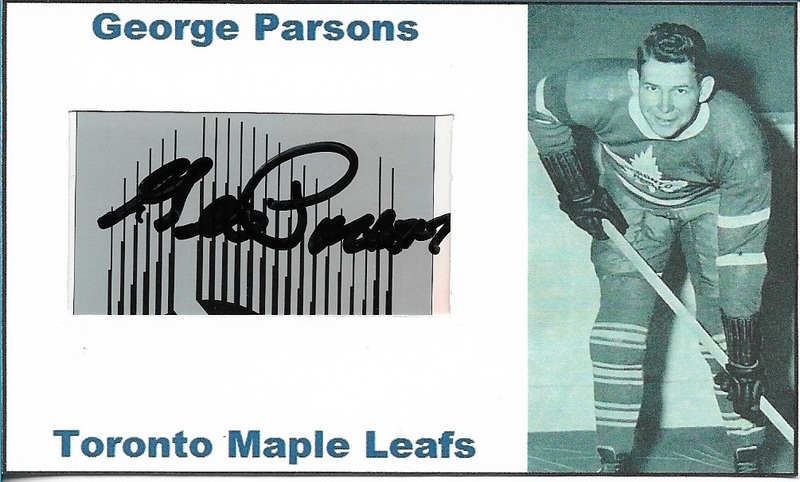 From 1936 to 1939 George Parsons played 78 games in the NHL with the Toronto Maple Leafs. An eye injury ended his career but lead him to a job at CCM working on hockey helmets. That would prove to be his lasting legacy to the game and he had a long career at the hockey equipment manufacturing company. 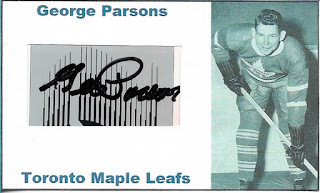 Parsons passed away in 1998. 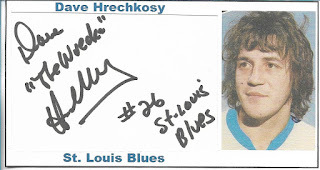 From 1973 to 1977 Dave "Wrecker" Hrechkosy played 141 games in the NHL between the California Seals and St. Louis Blues. 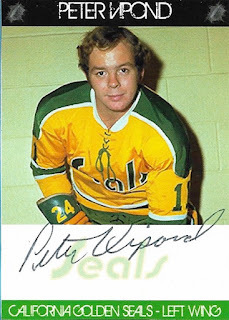 In his only full NHL season, he scored 29 goals and 43 points with the 74/75 Seals. 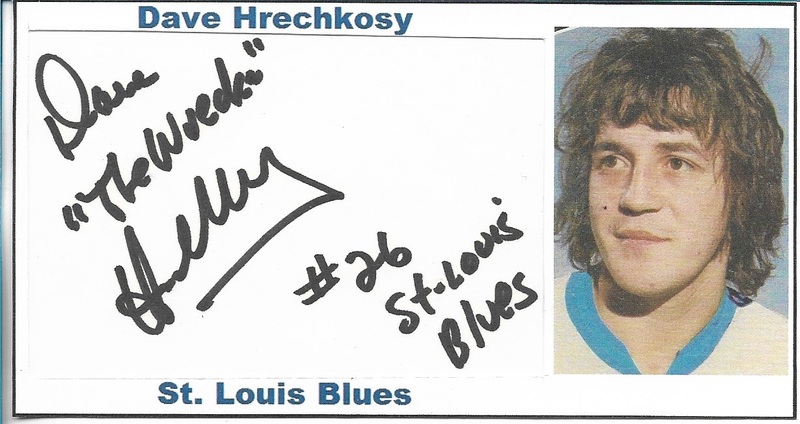 Hrechkosy passed away in 2012. 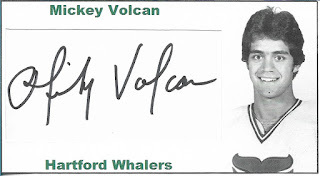 From 1980 to 1984 defenseman Mickey Volcan played 162 games in the NHL between the Hartford Whalers and Calgary Flames. 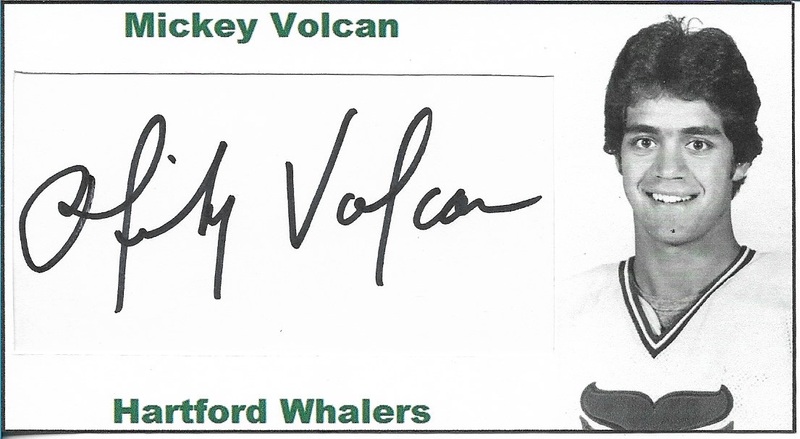 His father, Mike Volcan, was a CFL professional football player who won the Grey Cup twice with the Edmonton Eskimos. 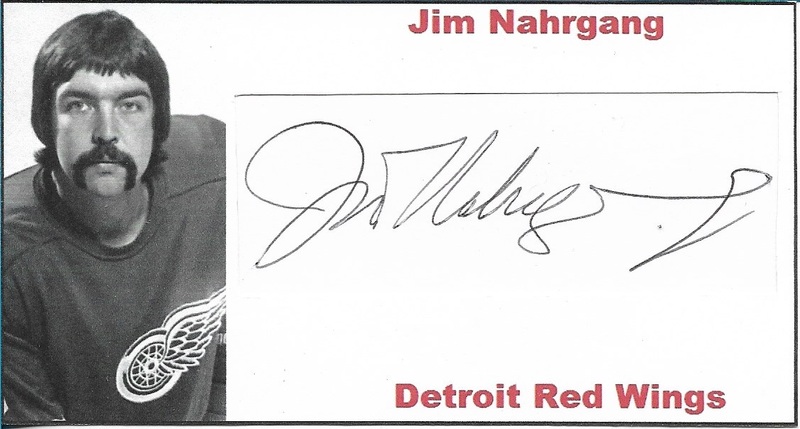 From 1974 to 1977 Jim Nahrgang played 57 games in the NHL with the Detroit Red Wings. The defenseman scored 5 goals and 17 points. He later spent time as an NCAA coach at Michigan Tech. 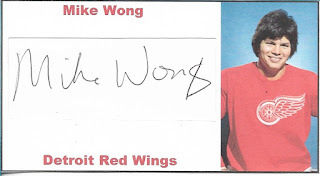 Mike Wong, a Minnesota native of Chinese and Native American ancestry, played 22 NHL games with the 1975/76 Detroit Red Wings. 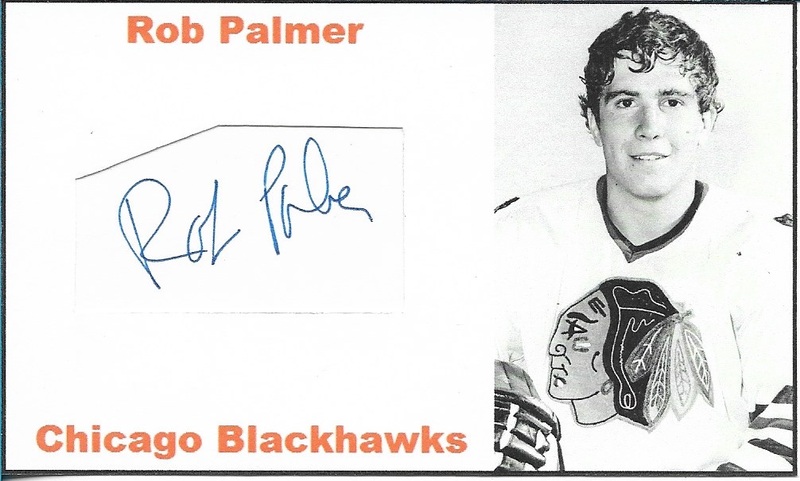 There have been two people named Rob Palmer to play in the NHL. 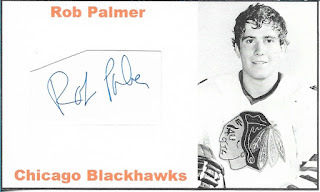 This is the lesser known of the two who played 16 NHL games with the Chicago Blackhawks during the 1970s. 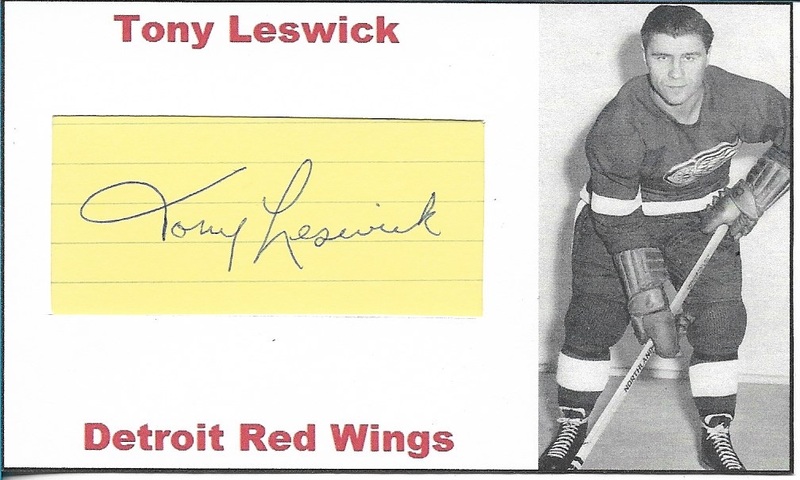 Tony Leswick won 3 Stanley Cup championships with the Detroit Red Wings (1952, 1954 and 1955). 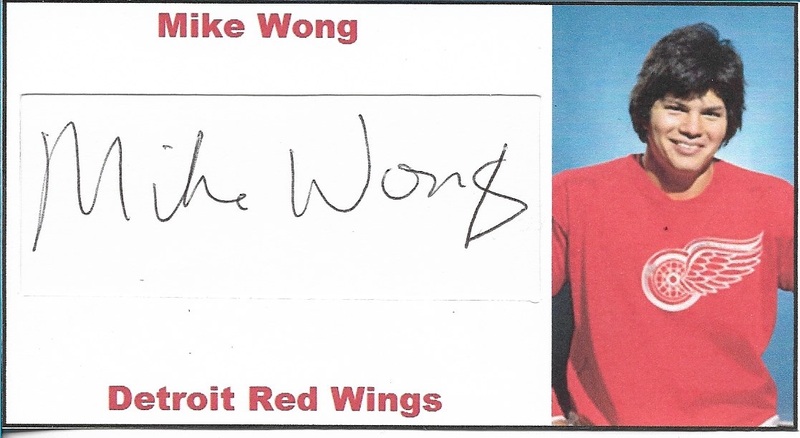 In 1954, he scored the game 7 Stanley Cup winning goal in overtime for Detroit. 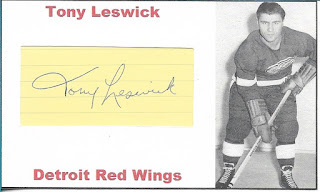 From 1945 to 1958 Leswick played 740 games in the NHL. He was a member of the Rangers, Red Wings and Blackhawks. Tony Leswick passed away in 2001. Two of his brothers, Pete and Jack, also played in the NHL. From 1976 to 1984 Ted Bulley played over 400 NHL games between the Blackhawks, Capitals and Penguins. He scored 101 goals and 214 points in the NHL. 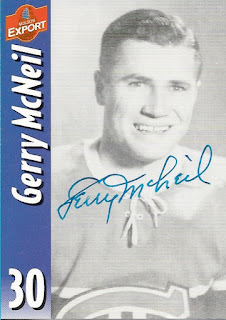 Goalie Gerry McNeil won the Stanley Cup with the Montreal Canadiens in 1953, 1957 and 1958. From 1947 to 1958 he appeared in 276 regular season NHL games with Montreal. He was an NHL All-Star in 1953 and a big part of the 1950s Canadiens. He passed away in 2004. 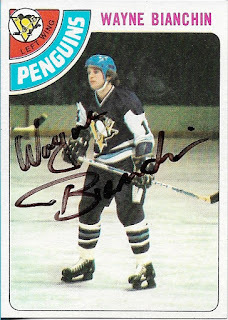 From 1973 to 1980 Wayne Bianchin scored 68 goals and 109 points in 275 career NHL games. He played for the Pittsburgh Penguins and Edmonton Oilers. 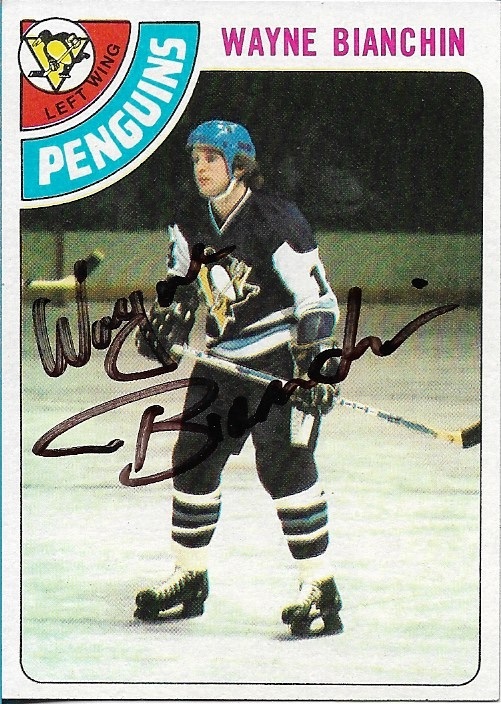 He scored a career high 28 goals with the 1976/77 Penguins but a nagging back injury ended his career. 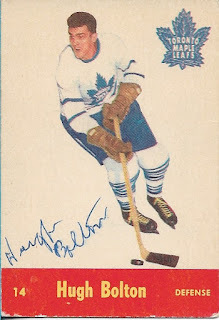 From 1949 to 1957 defenseman Hugh Bolton played 235 regular season NHL games with the Toronto Maple Leafs. He won the Stanley Cup in 1951 and was an NHL All-Star in 1956. Bolton passed away in 1999. Peter Vipond played 2 NHL games with the 1972/73 California Golden Seals. After hanging up his skates, Vipond turned to a different sport, lacrosse. He coached for decades and was even a head coach in the NLL (for New Jersey/Anaheim Storm), the sport's highest pro league. From 1980 to 1992 Rick Lanz played 569 regular season games in the NHL. 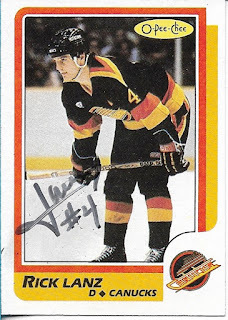 He played for the Vancouver Canucks, Toronto Maple Leafs and very briefly with the Chicago Blackhawks. 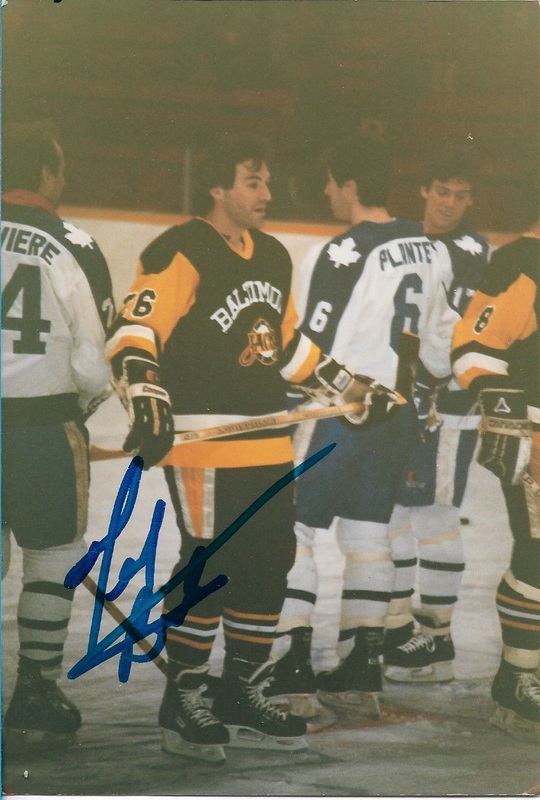 Internationally, he represented Canada at the 1980 World Juniors and 1983 World Championships (bringing home a bronze medal). 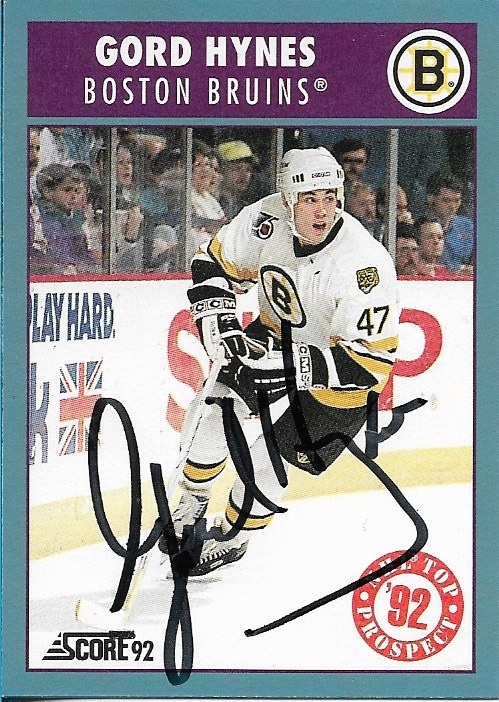 From 1991 to 1993 defenseman Gord Hynes played 52 regular season NHL games with the Boston Bruins. He's most notable for being a member of Canada's 1992 Olympic hockey team that took home Silver. From 1995 to 1998 Allan Egeland played 17 NHL games with the Tampa Bay Lightning. 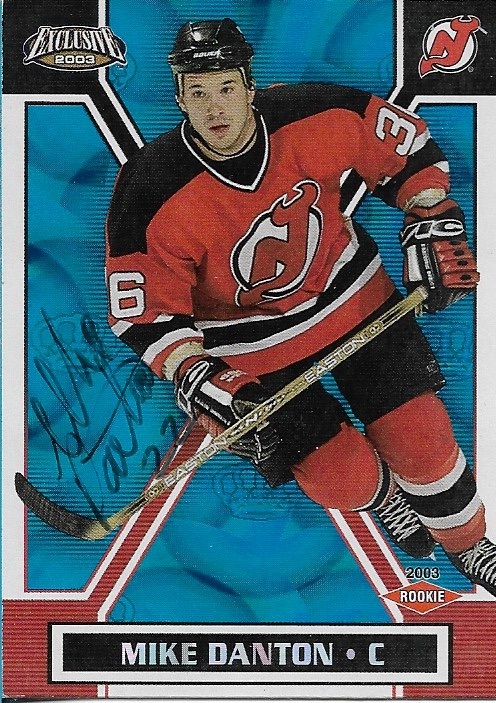 From 2000 to 2004 Mike Danton played 87 NHL games between the New Jersey Devils and St. Louis Blues. His career ended abruptly when he was arrested and convicted of conspiracy to commit murder. He spent 62 months in prison for the crime. 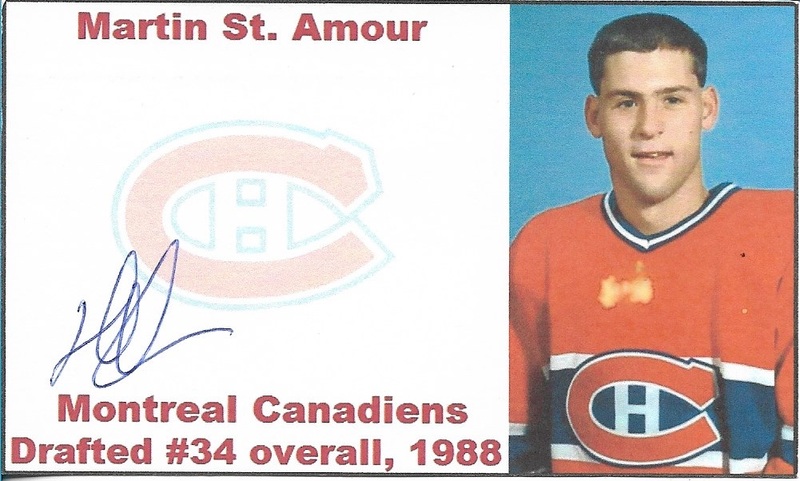 He later resumed his pro hockey career but was never able to get close to reaching the NHL again. Danton must not respond to TTM requests because I had tried him c/o every team he played for after returning to hockey but I had to finally throw in the towel and trade for one. 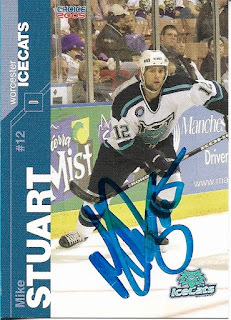 A Colorado College alumni, from 2003 to 2006 defenseman Mike Stuart played 3 NHL games with the St. Louis Blues. 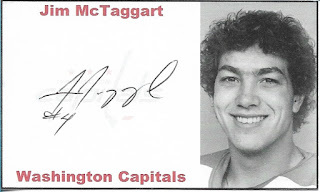 Undrafted, Mel Angelstad started his pro hockey career in 1992. He made his mark in the minor leagues as a feared enforcer. 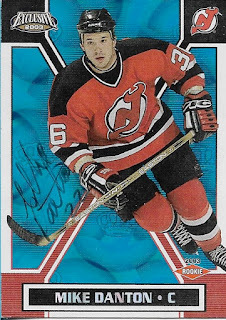 It was until he was 31 that Angelstad got his first and only taste of the NHL. 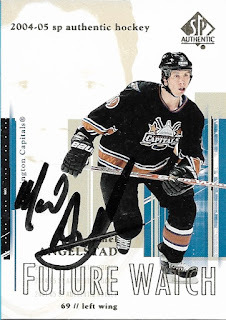 He played 2 NHL games with the 2003/04 Washington Capitals and is perhaps most notable for being the first NHL player to wear #69. He's also notable for having a small role in the 2017 film Goon: Last of the Enforcers. 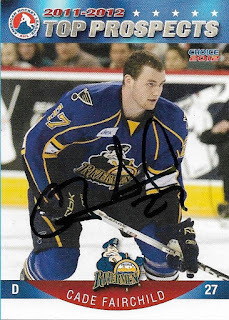 Defenseman Cade Fairchild was drafted by the St. Louis Blues in 2007. He spent 4 seasons at the University of Minnesota before turning pro. Fairchild played 5 games in the NHL with the 2011/12 Blues, netting 1 assist. 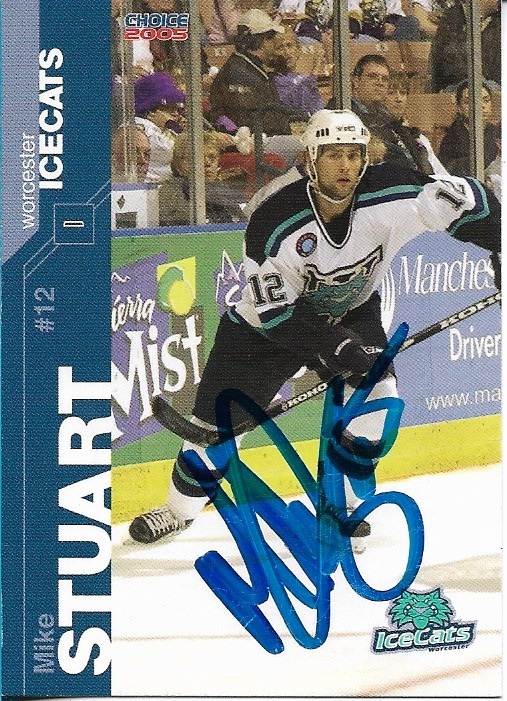 Internationally, he represented the United States at the 2008 and 2009 World Junior Championships. Colin Hemingway was drafted by the St. Louis Blues in 1999. He then went to the University of New Hampshire for four full seasons before turning pro. 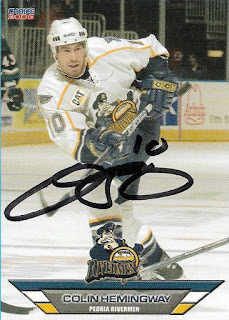 Hemingway went on to play 3 games in the NHL with the 2005/06 Blues. Amy Potomak plays NCAA hockey with the University of Minnesota. She has also spent time playing for the Canadian National Team. Her sister, Sarah Potomak, has also played for the Canadian National Team, the first sister duo to do so. As the custom card notes, Dipietro has a couple notable family connections to the NHL. I sent Mike Kenn this very specific NFL card to sign because it notes that he played hockey in high school. 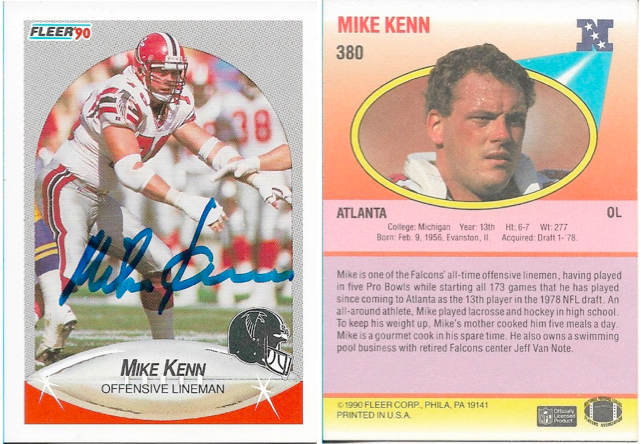 You don't find many former hockey players in the NFL so I thought this was an especially cool connection between the two sports. 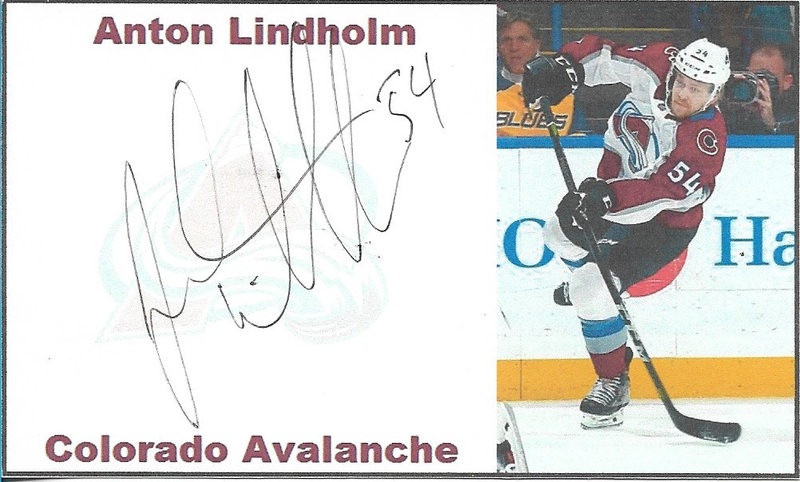 You can see all of my hockey/football signatures here.